Numerous job sites rank a Master of Science in Economics among the most versatile and lucrative graduate degrees. With expanding access to extensive datasets, both public and proprietary, there is increased value to individuals who have the tools to analyze and interpret economic data and the ability to apply those results to decision making in business and public policy environments. 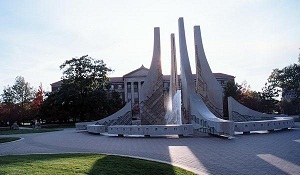 Ranked among the best in the nation, the online master's program in economics at Purdue University's Krannert School of Management teaches you the analytic and quantitative methods necessary to evaluate, optimize, and forecast key economic and business outcomes such as stock markets, product prices, production, growth, employment, inflation and welfare. Our leading and dedicated economics faculty members use cutting-edge quantitative and empirical instructional methods, including econometrics (big data, machine learning), statistical software applications (Stata, Matlab, EViews), modern computational and programming tools (Python), business forecasting, game theory and experimental economics among other areas. See below for further information on various curriculum options. Our economics master's program is affordable and flexible. You have the option of completing the degree fully online in as few as 20 months or spread out over 36 months. There is a hybrid format that combines online and classroom learning and allows for an on-campus experience. See below for further information on alternative program schedules. The program offers study tracks for students interested in data analytics, applied economics, or those interested in pursuing PhD studies in economics, management, or political science at first tier universities. No matter where you take your career, a master degree in economics from Purdue's Krannert School will provide the differentiation you need for success — all on your own timetable and terms. For further information on how to apply, click on the following link: MS application process. 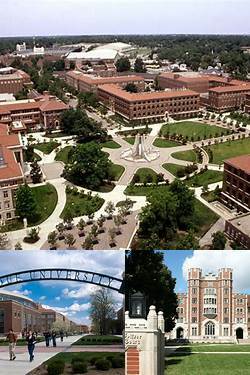 Purdue University is one of the leading research universities in the world; Top 5 public university in the U.S. Program can be completed fully online in as little as 20 months or spread out over 36 months. High value program - tuition fees: $1,075 per credit hour. In 2017, the median entry level annual salary for students with economics master degrees was $102,490, see median salary. The MS degree in Economics at Purdue University is a 30-credit-hour program (standard for MS programs). The curriculum is demanding, and taught by a talented and dedicated staff of instructors drawn from the full-time faculty members of the Department of Economics at Purdue University. 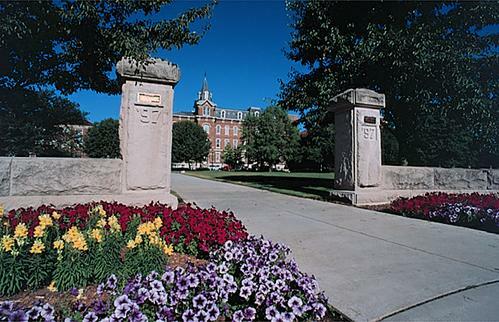 Students take a minimum of 15 courses (30 credit hours), of which 13 credit hours are covered by Required Courses. Students specialize in at least one of four areas by earning at least 8 credit hours in that area. Students have the option of pursuing more than one specialization, such as obtainiing specializations in both financial economics and business and data analytics. Other courses can be taken as free electives. The program can be completed in as little as two academic years (20 months). Students begin the program in August. Courses usually last eight weeks. Students have the option to study part-time or full-time and choose between a fully online (for all students), a hybrid (for all students), and a fully on-campus (for domestic students) study program. The credits for each course are reported in parentheses. Take 17 credit hours, of which 8 credit hours have been chosen from the same Specialization Area. For a 2-year schedule, students take 5-6 credit hours of elective courses each semester and 5-6 credit hours during the summer after their first and second academic years. For the 3-year schedule, students take 4-5 credit hours each semester. Students interested in pursuing PhD studies on completion of the master degree take all advanced theory courses on campus. Given each semester is divided into two eight-week modules and 2-credit elective courses span each module, students opting for a 3-year schedule typically do not take more than one course at a time. Students with good credentials in any discipline may apply to the master’s program. Students are expected to complete an application and provide undergraduate transcripts (minimum GPA 2.7). Applicants are evaluated by a committee. Students who plan on pursuing PhD studies are encouraged to take the Advanced Theory Specialization on campus. Minimum requirement for pursuing the Advanced Theory Specialization is an (online MS econ) GPA of 3.5. For more information, contact our Assistant Director Sarah Lee at the below mentioned contact details. The MS Economics program is STEM (Science, Technology, Engineering, and Mathematics) certified. Graduates are eligible for the STEM optional practical training (OPT) extension. The STEM OPT extension, which extends another year of resident status to students with STEM degrees, has helped ease some of these challenges that international students face when searching for long-term employment in the United States. Purdue undergraduate STEM (Science, Technology, Engineering, and Mathematics) majors can count up to nine credit hours of course work toward the MS degree. On graduating with a STEM BS degree, they can complete the MS after the STEM BS degree by taking one additional online courses over the subsequent 12 to 24 months. Undergraduate students pursuing a STEM BS degree should contact our Assistant Director, or request the brochure for more information, at the start of their junior year. For further information on this combined degree, click on the following link: BS/MS combined degree. For information on Frequently Asked Questions, click on the following link: FAQs.